AVAILABLE AT CLINTON LOCATION -- SHARP LOOKING TRUCK WITH ALL THE OPTIONS AND BRAND NEW TIRES!!! 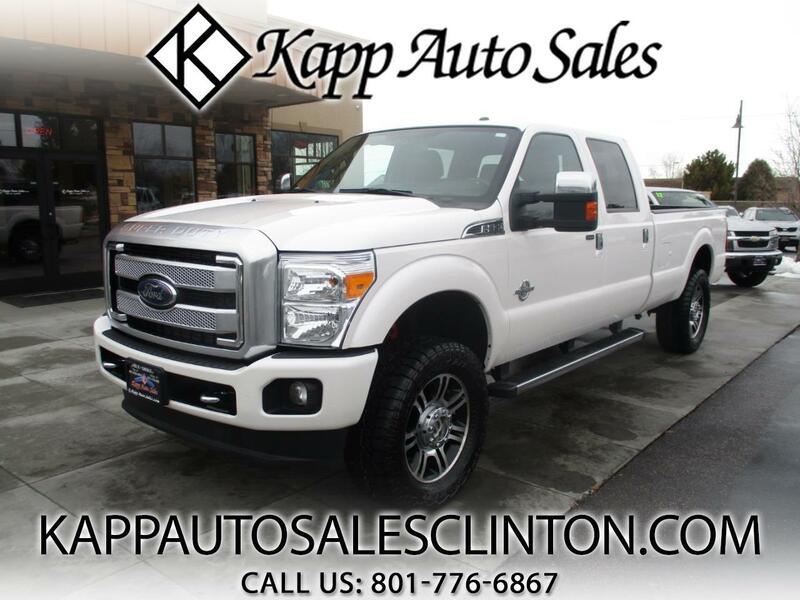 **FREE 3 MONTH/3,000 MILE WARRANTY AT LIST PRICE** CHECK OUT THIS SUPER NICE AND LOADED UP 2015 FORD F350 PLATINUM CREW CAB WITH THE 6.7L POWERSTROKE DIESEL ENGINE!!! THIS TRUCK IS AS NICE AS IT GETS AND IT JUST GOT A SET OF BRAND NEW TIRES!!! THIS THINGS LOADED UP WITH LEATHER INTERIOR, HEATED AND COOLED SEATS, HEATED STEERING WHEEL, ADJUSTABLE PEDALS, NAVIGATION, BACK UP CAMERA, EXHAUST BRAKE, REAR HEATED SEATS, TRAILER BRAKE CONTROL, PWR SLIDING REAR WINDOW, SUNROOF, RUNNING BOARDS, TOW PACKAGE, AND MUCH MORE!!! Message: Thought you might be interested in this 2015 Ford Super Duty F-350 SRW.